This week (Oct 21-27) we celebrate the Open Access Week! A global event now in its 6th year, OA week promotes Open Access as a new norm in scholarship and research. So let’s celebrate open access week by submitting our works to the Scholarship Repository! My collection of postal librariana includes a folded letter sent to Josiah Little in Newburyport, MA by Samuel Swett from Boston on June 27, 1854 in regard to establishing a public library in Newburyport. I have written a previous post about the letter. Last month I was contacted by Neil Foley, President of the Newburyport Stamp Club who had come across the blog post. Neil wanted to borrow the letter for a program the stamp club would be conducting on October 10th at the Newburyport Public Library. I agreed to loan the letter for the program and mailed it to Neil. Thus the letter made a second trip to Newburyport 159 years after it was first mailed to Josiah Little. Little was the major subscriber to the proposed library with a contribution of $5,000. 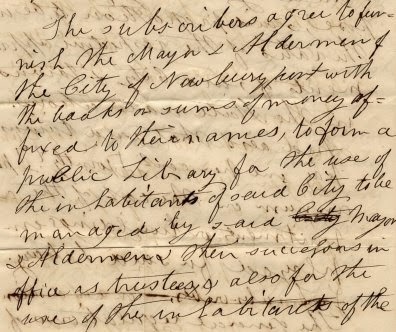 Swett was also one of the original subscribers to the library and in his letter to Little he submits a draft of a possible agreement between the subscribers (see scan above), the City of Newburyport, and adjacent town to form a public library. The letter is an important document in the history of the Newburyport Public Library. Currently it is included in my philatelic exhibit titled "Libraries in 19th Century America". At some point in the future there is a strong possibility that it will make a final trip back to Newburyport. It’s that time of year again! People and ghouls are rushing out to buy their fake mustaches, their candy corn, and their capes, and the stores are raking in the money. Right? Well, according to IBISWorld, an industry and market research company that is behind our library database of the same name. Halloween spending is predicted to have just a small growth rate this year, because people just aren’t feeling as confident in the economy and the government right now. You might say they are finding them quite spooky, in fact! 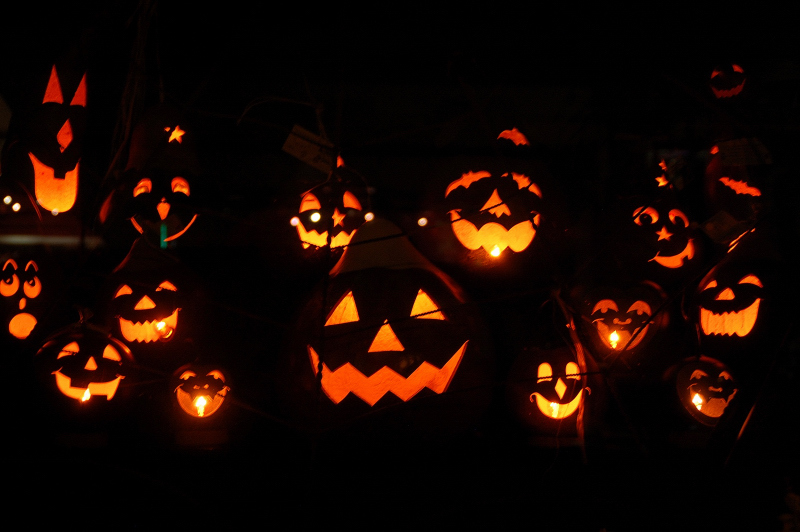 Read the summary from IBISWorld about 2013 Halloween spending. For more industry and market research that is available to the USF community, please visit IBISWorld on our library web site. Need help using IBISWorld? Contact us! There are halls of fame to recognize human accomplishment in every conceivable endeavor. There are even a few library halls of fame. Two state library halls of fame have recently announced inductees for 2013. The California Library Hall of Fame will be inducting nine individuals at the Awards Gala at the California Library Association meeting on November 3rd. The inductees are listed on the California Library Hall of Fame website. The Wisconsin Library Hall of Fame will be inducting four individuals at the Awards Reception at the Wisconsin Library Association meeting on October 23rd. The announcement of the Wisconsin inductees is located here. A full listing of current and former inductees is included on the Wisconsin Library Hall of Fame website. The Massachusetts Library Association has a Hall of Fame also. Inductees through 2012 are listed on their website. The American Association of Law Libraries also has a Hall of Fame. Inductees including 2013 inductees are listed on their website. 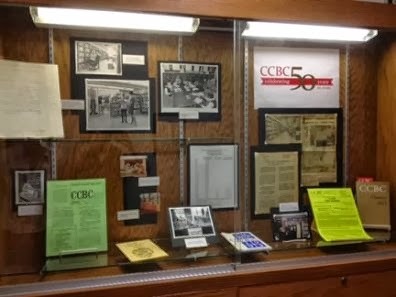 The Oklahoma Library Association has a Library Legend Award whose purpose is to expand a list of 100 library legends that were selected in 2007 for the Association's centennial. The Library Journal compiled a list of 40 individuals in 1951 for a Library Hall of Fame. The Dictionary of American Library Biography ((Libraries Unlimited, 1978) and its two supplements (1990 and 2003) constitute for all practical purposes an American Library Hall of Fame.